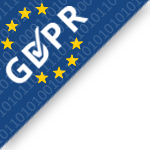 GDPR Policy - Der Medya Inc. Note: This document is only available in English, as it's the official language of commerce for our clients (B2B) and in the regions we operate. Any translated copies are not valid.